Stuffed shells are filled with a sausage, pesto, and cheese mixture and baked. 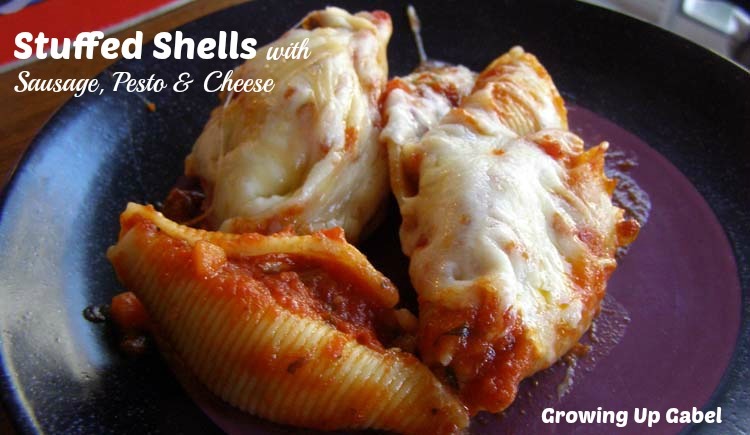 This stuffed shells recipe is easily doubled or halved for a great and easy freezer meal. One of my tricks to not have to spend every night slaving in the kitchen making dinner is freezer meals. I figure if I'm in the kitchen cooking, I might as well double, or halve, a recipe and freeze one for later. I used to try doing a big weekend cooking spree to get freezer meals prepped, but it was exhausting! I finally figured out I could just make two of something and freeze it for later. It works great! I have always loved the idea of stuffed shells, but it took me a few years to come up with a stuffing I really love. I found adding sausage to the stuffing recipe adding just the right amount of flavor. Then combine it with pesto and oh yeah! Stuffed shells do take some man power to make. The shells don't stuff themselves! So that's why when I make this dish, I always make sure to freeze half the recipe for later. This single recipe will make two baking dishes of shells. I usually bake one and freeze the other. This is also my go to dish for new moms who need a meal! I deliver the shells with a loaf of crusty bread and salad for a really nice meal. Double the recipe if you need to feed a crowd and you will have tons of food. You can use store bought sausage, pasta sauce and pesto or you can make your own! Bring salted water to a boil in a large pot and cook shells until al dente, 12-14 minutes. Drain shells and set aside to cool. You can make these early in the day and stuff later. In a medium bowl stir together sausage, pesto, ricotta and any mozzarella or Parmesan you would like. 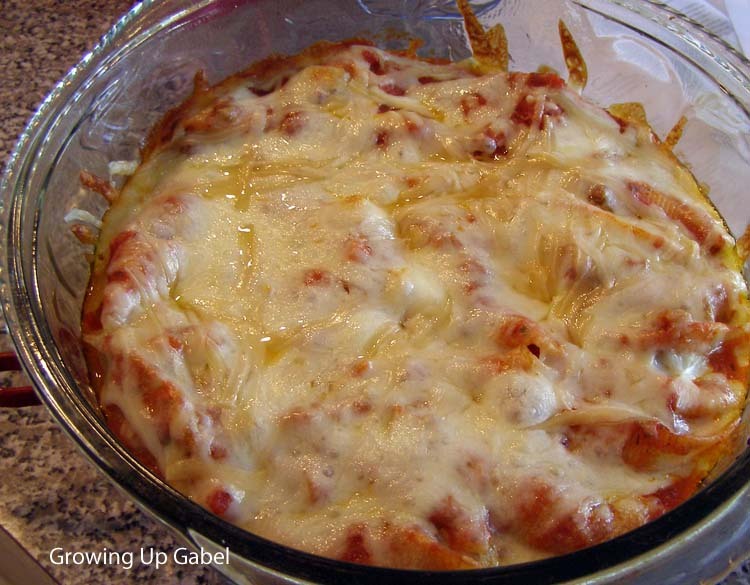 Cover the bottom of two baking dishes (9 x 13 or a 2 quart casserole) with some pasta sauce. Stuff shells with cheese mixture and place in a single layer in baking dishes. Once all shells are stuffed, cover with remaining pasta sauce. Then cover with cheese. At this point you can either freeze the dishes or bake. Bake at 375 degrees for about 20 minutes or until cheese is melted and bubbling. Give me an estimate of how much mozarella and parmesan cheese you used in this recipe. I probably use 2 cups of mozzarella and about 1/2 cup of Parmesan. I love me some stuffed shells, and I love the idea of adding pesto – I’ll definitely do that next time! I love stuffed shells but have never had them with sausage. My family would like the addition of sausage, I’ll definitely give it a try. Thanks for sharing at Inspire Us Thursday on Organized 31. 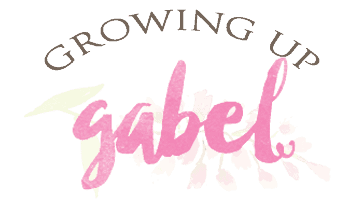 Camille, my husband’s all time favorite recipe is stuffed shells! I’ll have to make this for him. Love it!! 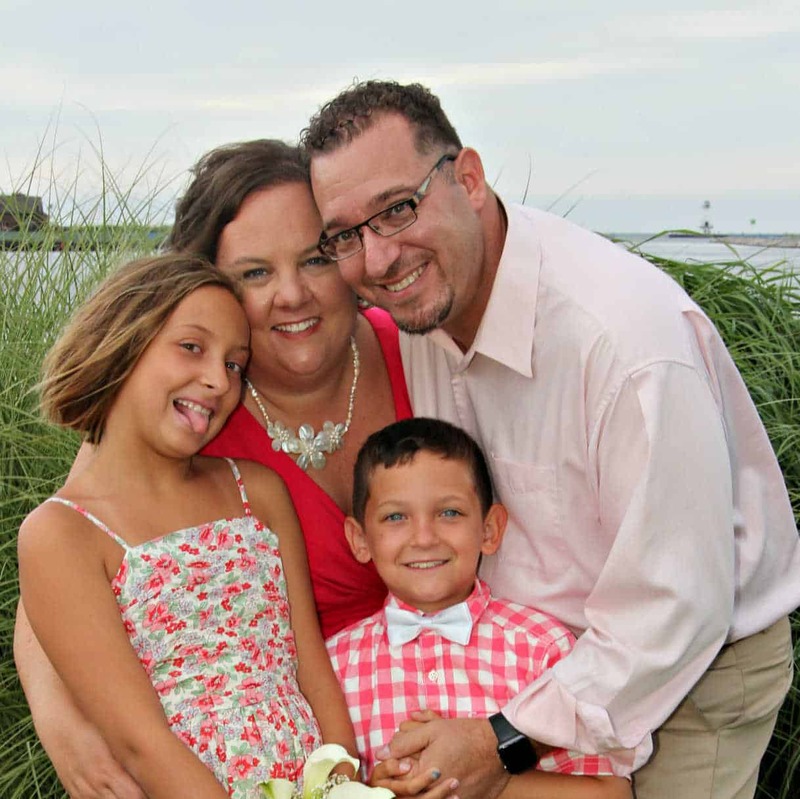 Thank you so much for linking up to Wake up Wednesdays! This recipe is pinned to our Linky Pin Board! These look so yummy! I think this would be great for winter time as it looks so hearty and warm. I don’t have a lot of time during the week to make dinners so I love freeze friendly meals. I’m pinning and hope to try it soon! Thank you, Helen! They are one of my favorite meals! I hope you enjoy them. Camille this looks so good! I just bought some shells to try a new recipe. I think Ill throw some sausage in with them now! Yum! Camille these look so yummy! I love stuffed pasta anything! These look fabulous. I love pesto!